For those who may not be familiar, Beast Wars (titled Beasties in its native Canada) was a computer-generated sequel to the 1984 show, Transformers. Yes, the same property that Michael Bay has been turning into crappy blockbusters for the past six years. While the first series dealt with the war between Autobots and Decepticons (two machine races who transformed into cars and planes respectively), Beast Wars dealt with a much smaller conflict set in future. This time we got Maximals and Predacons (pretty much Autobots and Decepticons) at war on a strange, Earth-like alien planet. Oh, and this time they turned into animals instead of cars: awesome. It’s not horrible but certain things (namely shadows) are lacking. Really the animators should be praised, it’s just old technology at this point. Luckily the look got better as the show progressed. Seasons two and three show noticeable improvements over season one. Anyway, the look isn’t why you should watch it, although it does have something to do with it. Let me explain why Beast Wars was made: to sell toys. That’s the honest answer. Same reason the first Transformers series began back in the 1980s. However, Transformers was traditionally animated and there was no budget increase when they wanted to bring in another transformer. The result: there are a lot of robots on that show. A privilege that Beast Wars did not enjoy. Another transformer meant another 3D model and that took a lot of money to animate. 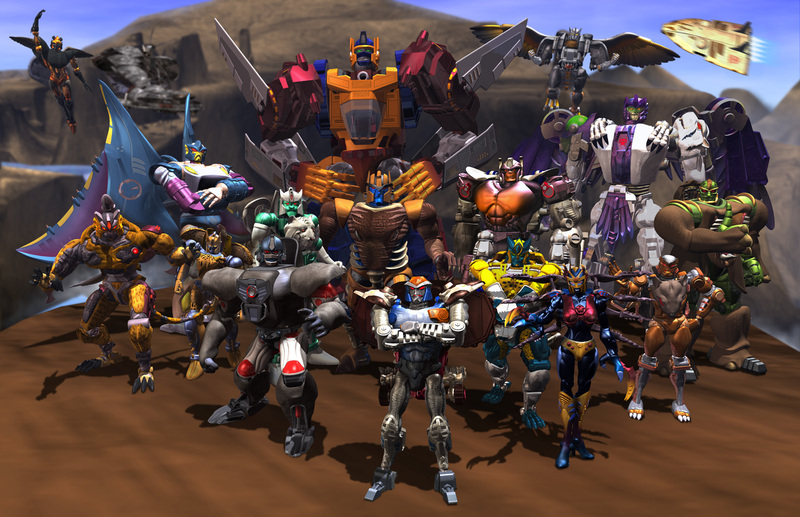 So Beast Wars was forced to have a much smaller cast and that turned out wonderful. Why: because fewer characters meant stronger characters. They only had a few robots to work with so every character on that show was fully flushed out with motivations and traits. Everyone felt different and not because they turned into a different beastie but because they thought differently. Every form of every Maximal who was in the series. It’s not a huge cast but it is a strong one. Head writers Bob Forward and Larry G. DiTillio deserve most of the praise. They were given essentially full control of the show and created a tight-knit story with characters and consequences. Beast Wars blessedly has more plot than just Maximal=good and Predacon=bad. There is a complete story told throughout the three season arch that doesn’t leave much in the way of dangling plot threads. Strong points include characters such as Megatron (the Predacon leader), Tarantulas (the Predacon mad scientist) and Dinobot (Maximal version of Hamlet). The alien plot line also provides an additional level of intrigue as well as a break from the Maximal-Predacon conflict. Episodes to check out: “Code of Hero” (best episode of the series), and “Transmutate”. 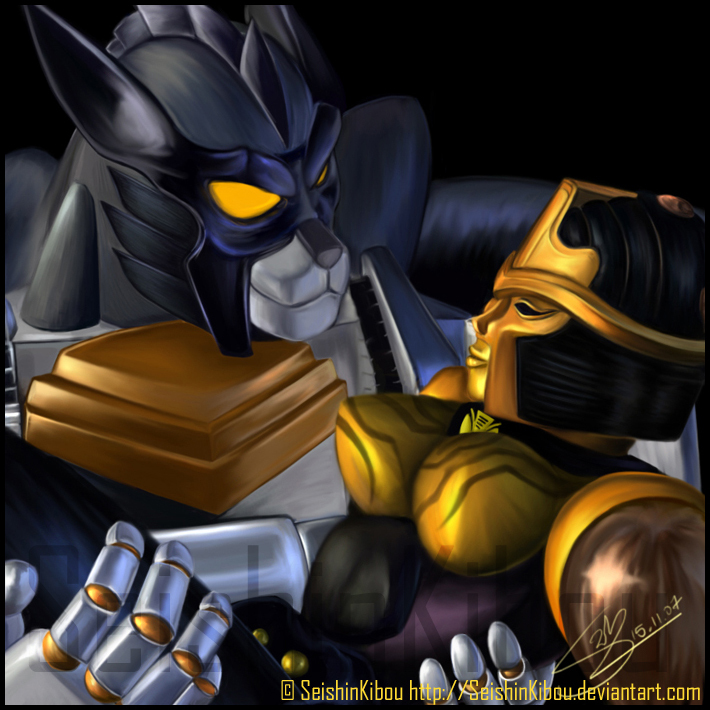 Personally I’m also a big fan of the bizarre romance between Silverbolt and Blackarachnia. Yeah they’re both robots. Yeah one is the knight in shining armor while the other is a villainous back-stabbing widow. Yeah they’re on opposite sides. It’s still a better love story than Twilight. Season one is the weak point of the show. It looks better on re-watching but the consequence hasn’t entered the series yet. What do I mean by consequence: people die in this show. Don’t get used to your favorite character because odds are they are not going to survive the series. For an animated children’s show back in the 1990s, this was a crazy development. Is it the best show ever made: not even close. Still there is enough in Beast Wars to make it a show worth watching. I recommend it to anyone out there looking for a fun story that doesn’t require a ton of thought. This show isn’t super serious (it’s about robots that turn into animals) but it does have a heart and more importantly, a brain. In addition, I should mention the sequel series, Beast Machines. I’m not really going to talk about it – it is not nearly as well remembered as its predecessor, and for good reason. Also there are two sequel series that were produced solely in Japan (Beast Wars II and Beast Wars Neo) but approach those at your own risk. 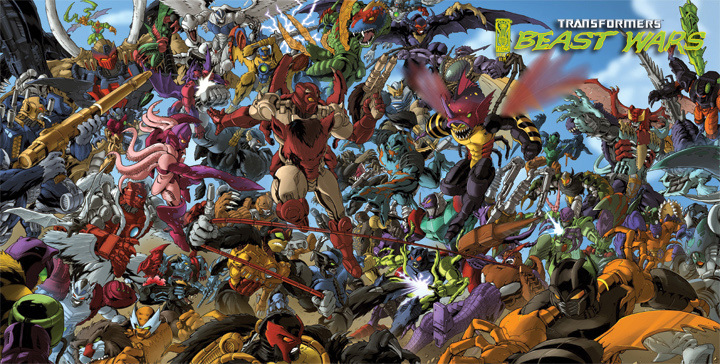 Due to the show’s success, Beast Wars has inspired a wealth of graphic novels and specials that have continued the story. Sadly there has still been no true successor in terms of a television show. ← Why Aren't We Getting David Fincher's 20,000 Leagues Under the Sea?